My client asked if I could paint a couple of old, seven and a half foot tall doors. Heavy, old vintage doors. I said sure and after some prep work, had them ready to go. 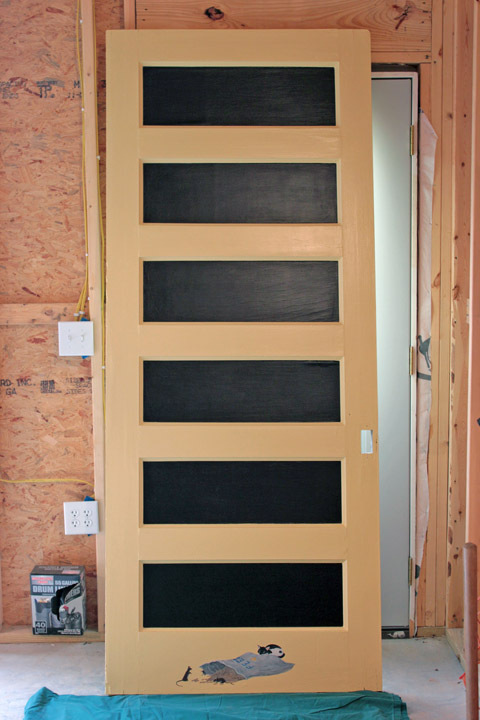 They were going to be used in a cafe, so the panels needed to be chalkboard paint front and back. 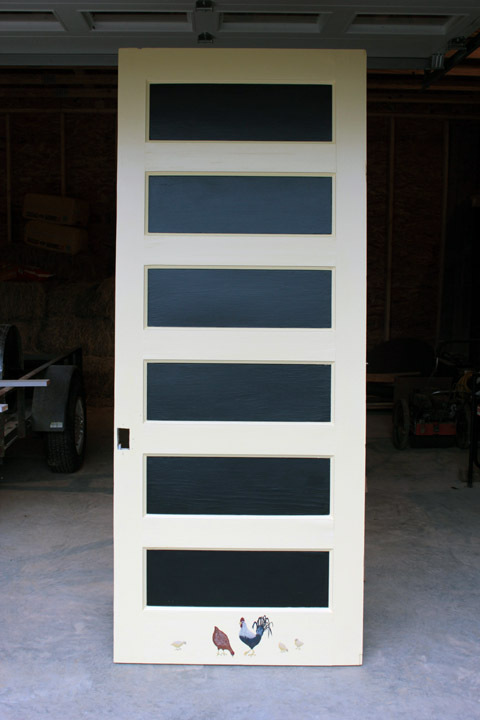 It took three coats to get a good solid finish on the chalkboard paint, then I painted the images and sealed them with two good coats of spar urethane. My client was thrilled and I look forward to visiting to see them up in place!